Lake Havasu City lies like an oasis in the middle of the Arizona desert, along the Colorado River and the giant reservoir from which it takes its name. In Lake Havasu City, everyone can experience the thrill of the desert and spectacular fun on the water, all in one place. Visitors can rent ATVs at Sandbar Powersports, head to the Desert Bar for a one-of-a-kind dining experience, or take a scenic boat tour with Sunset Charter & Tour Co. 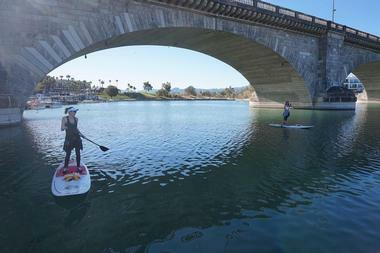 Families can spend a day on the water or at the beach, and everyone can learn the fascinating history about how the famous London Bridge ended up far from home in this sunny, friendly Arizona town. The world-famous London Bridge was built in England during the 12th century and spanned the Thames River in London for over 600 years, during which time it frequently fell into disrepair. In 1831, a new bridge was completed and the old one demolished, but by the time the invention of the automobile rolled around it was clear that even this new bridge wasn’t built to handle London’s heavy traffic. In 1967, the City of London sold the historic bridge to Robert McCulloch, who dismantled it stone by stone and had it shipped and rebuilt in Lake Havasu City. Today, the London Bridge stands proudly over the Colorado River, and is the second-most popular attraction for visitors in Arizona, after the Grand Canyon. 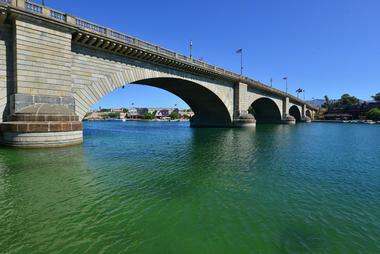 Walking tours of the bridge and its fascinating history are available from the Lake Havasu City Visitor Center. London Bridge Beach is accessible to visitors by boat or car, with day-mooring, walk-up paths from the docks, and a non-motorized boat launch. The beach is a great place for a day out, with both grassy and sandy areas for picnics, parties, and relaxation. Well-behaved dogs on a leash are welcome on the beach and in the park. Among the London Bridge Beach’s many features are a swimming area, an off-leash dog park, sports courts, and two playgrounds for children. Seasonal rental of paddleboats, kayaks, and canoes is also available. The beach is open daily to the public from dawn until 11:00pm. 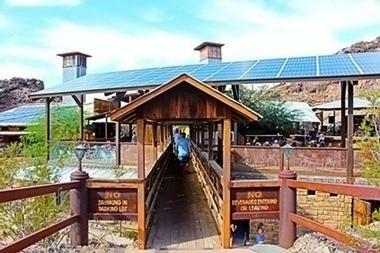 The Desert Bar is a one-of-a-kind experience located in the middle of the lower Sonoran Desert, on land that was once an old mining camp. The bar is powered by solar energy and built of many unique materials, such as old refrigerator doors and swaying steel barstools. It is not accessible by any paved roads, and it is only open on weekends from noon until the sun goes down during the months of October until April, though sometimes the owner opens and closes at his own discretion. It accepts only cash, no cards, and it never serves cheese. But visitors shouldn’t let that stop them, because a meal at the Desert Bar is a truly unforgettable experience. The Lake Havasu Museum of History tells the stories of the region’s rich history, from the culture and lifestyle of the Mojave Native Americans to the history of mining in Arizona. Guests can cool off from the heat outside in the museum, which offers activities and educational material for children as well as adults. Admission to the museum is $7.50 for adults and free for children under 12. 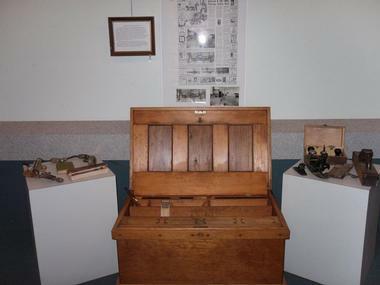 The Lake Havasu Museum of History is open to the public Tuesday through Saturday, from 10:00am to 4:00pm October through April, and 10:00am to 2:00pm from May to September. Lake Havasu State Park is the place to go for camping, swimming, fishing, hiking, and more in a sunny and beautiful Arizona nature setting. 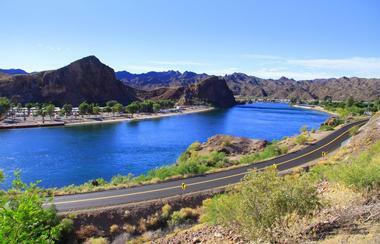 The park is open to the public all year round, 24 hours a day, with outdoor trails and beachside campsites for tents or RVs, tucked right up against the gorgeous Colorado River. Campsites are equipped with power for RVs and have easy access to restrooms, fire rings, picnic tables, and potable drinking water. The park is a popular port of entry for boats on the river, and offers canoe and kayak rental to visitors looking for a day on the water as well as maps and guides for guests looking to explore the trails. At the Desert Diamond Distillery Factory Tour, visitors can witness firsthand the process of turning molasses into various varieties of rum. 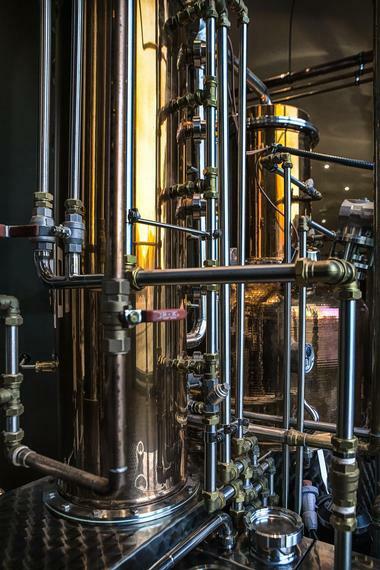 From distillation, bottling, barrel aging, storage, and of course, tasting, guests can look into the inner workings of this award-winning distillery, home of Gold Miner spirits, which is located on the famous Route 66 in Kingman, about 70 miles from Lake Havasu City. 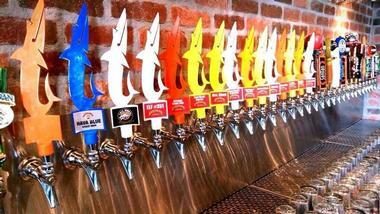 The tour costs $5 per person, which can be used toward any retail purchase in the distillery showroom. No reservations are necessary for groups under 10 people. The Grand Island Disc Golf Course has nine different holes, each with various different levels of difficulty. 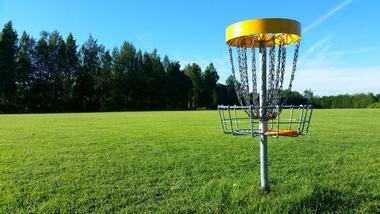 First time players can use the practice basket and seasoned lovers of frisbee golf can test their mettle on the course. Located on Grand Island in the middle of Lake Havasu, the Grand Island Disc Golf Course is a great way to spend an afternoon with family or friends in the great outdoors, and best of all it is entirely free to the public. Visitors must provide their own discs. 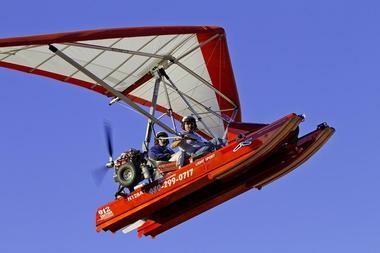 Explore the Colorado River and Lake Havasu City from above with Hangin’ Over Havasu in an amphibious ultra-light trike aircraft. Visitors can take control of the aircraft at 500 feet above the ground during guided flight lessons from the experienced staff. Hangin’ Over Havasu is not a tour service, but offers lessons and training for visitors to learn how to fly a lightweight amphibious aircraft. Flight hours will be logged if guests wish to continue their training after the Introductory Flight to become certified as a sport pilot. Guests should call ahead to make a reservation. Havasu Sunseekers is a chartered boat service that allows visitors to explore Lake Havasu and the Colorado River with a seasoned guide. Havasu Sunseekers offers 2.5-hour tours, and half or full-day charters, available Monday through Thursday. Guests can join Captain Dale Bowers aboard the Havasu Sunseeker, where they choose the course. From cliff jumping at Copper Canyon to a dockside dinner at the Turtle Bar and Grill, Captain Dale will help his guests plan and execute the perfect day out on the water, complete with swimming, food, drinks, and of course, lots of sunshine. There’s nothing quite like a sunny day at the beach, and Lake Havasu City is home to plenty of beautiful beaches where visitors can sunbathe, swim, and play. 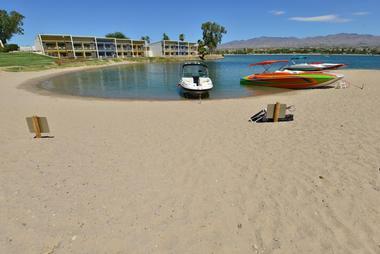 The beaches at Lake Havasu are large and varied, with some offering amenities like barbecues and restrooms, and others that are pet friendly. 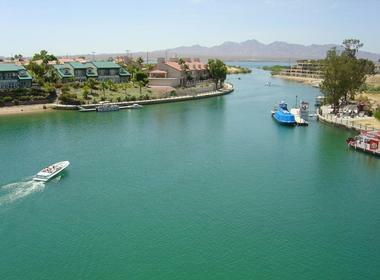 Lake Havasu is one of the best boating lakes in the US, and whether guests have rented a boat or brought their own, they’ll find the sparkling waters of the lake and the sun in the clear blue Arizona sky to be a beautiful and welcome addition to their day. 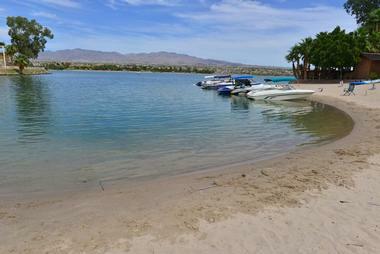 Boaters can explore some of the hidden coves of Lake Havasu to find peaceful beaches all for themselves. 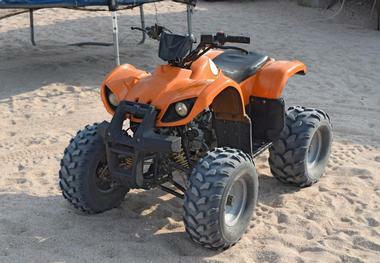 At Sandbar Powersports’ Off-Road Tour, guests can see Havasu’s wilderness from an ATV. Guests will take the ride of a lifetime in the Arizona desert, with the added advantage of an experienced guide who will lead the tour through old mining camps, tall sand dunes, and tricky mountain paths. The tour stops for a break at “the cabin”, and water, snacks, and soft drinks are provided. This wild adventure takes approximately 4 to 5 hours and is almost 50 miles in length. 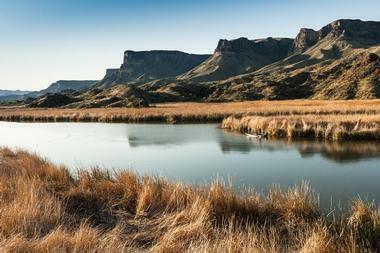 Due to extreme desert weather, Off-Road Tours are available from October to April. Reservations can be made by phone or online. Sandbar Watersports is a rental company offering jet skis, pontoon boats, and ski boats for guests who wish to spend a gorgeous, fun-filled day out on the water. Sandbar Watersports is a great option for visitors looking to go fishing, swimming, or wakeboarding on Lake Havasu or the Colorado River, and offers quick and thorough lessons for first-time captains on their new vessels. Customers looking to stay dry can also rent travel trailers and RVs for camping excursions, or ATVs for a day spent exploring the dusty, sun-dried beauty of the Arizona desert. Southwest Kayaks has been operating longer than any other kayak dealer in Arizona, and it is also the largest company of its kind in the region. There’s nothing quite like the feeling of kayaking on a lake or river, and Southwest Kayaks allows guests to experience that feeling with their rentals. They offer traditional kayaks as well as pedal-powered kayaks, stand-up paddleboards, and the revolutionary Mirage Eclipse, a standing leg-powered pedal-board that gives users a new, unique way to explore the water. 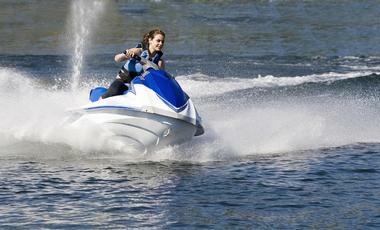 Southwest Kayaks offers rentals at hourly or daily rates. At Sunset Charter and Tour Company, Captain Kenny Samp will welcome his guests aboard the Serenity Now, a 6-passenger pontoon boat with open-air seating and a covered top. The 3-hour tours are offered daily, and will take guests to several natural points of interests, where Captain Kenny will explain their significance and tell some fascinating stories. The tours cost $50 per person and begin during the late afternoon or early evening, so that guests have the best opportunity to view the beautiful sunset from the glittering waters of Lake Havasu. After the sunsets, guests can spot constellations and watch the lights of London Bridge and Lake Havasu City. 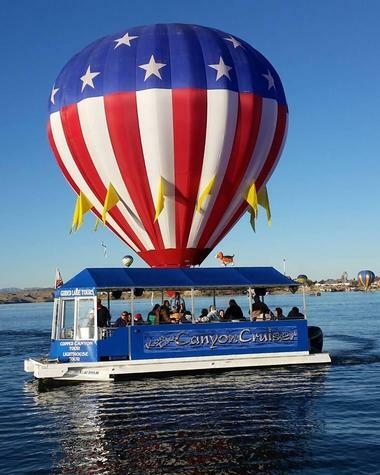 In a city defined by its water, Wanderlust Balloons offers guests an opportunity to see Lake Havasu and the Colorado River from a much different vantage point. 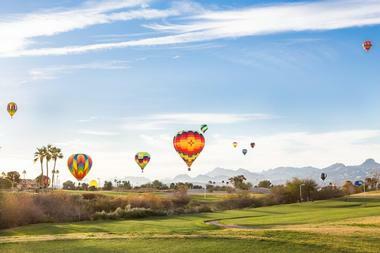 At Wanderlust Balloons, visitors can explore Lake Havasu and the surrounding area from the skies, viewing London Bridge, the lake, and the mountains that surround the city. The experience will begin before sunrise with the inflation of the balloon, followed by a morning flight unlike anything else, and end with a picnic in Sara Park, where each passenger will be treated to a light celebratory meal, a certificate, and a balloon-shaped lapel pin to commemorate their flight. Reservations are compulsory, and all flights are dependent on weather. Water Buzz Flyboarding provides guests the opportunity to try their hand at hydroflight, a unique experience that literally lifts users out of the water and into the air. Located right next to the London Bridge, Water Buzz Flyboarding is suitable for kids and adults alike. 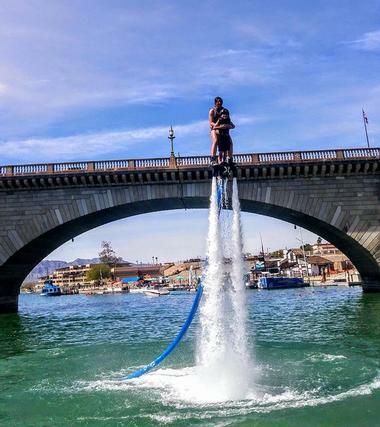 With specialized equipment that uses a stream of water to propel users out of the water like a jet pack, the Water Buzz Flyboarding staff will help guests soar above Lake Havasu like a bird, or maneuver flips and jumps like a dolphin. Buzz’s rates begin at $50 for a 10-minute flight, and they also offer group rates. At Bluewater Jet Boat Tours, passengers will traverse the Colorado River onboard the family-owned and operated Starship 2010. Guests will take in gorgeous sights like Havasu National Wildlife Refuge, ancient Native American petroglyphs, and the jagged and imposing Devil’s Elbow on this 2.5-hour ride to Topock Gorge and back. The Starship 2010 is equipped with a snackbar, restroom, air conditioning, and indoor and outdoor seating, and will provide passengers with the experience of a lifetime as they take in the gorgeous Arizona scenery and wildlife while learning some local history and fascinating facts. The Bluewater Jet Tours depart from the ferry terminal building beneath London Bridge at 1:30pm, or 10:30am if guests wish to include lunch at Pirate’s Cove. Advance reservation required. Cycle Therapy provides an environment where visitors and locals to Lake Havasu can buy, service, or rent bicycles from a huge selection and at a competitive price. Cycle Therapy offers a wide variety of bikes, from mountain bikes to cruisers, at affordable daily and monthly rates. 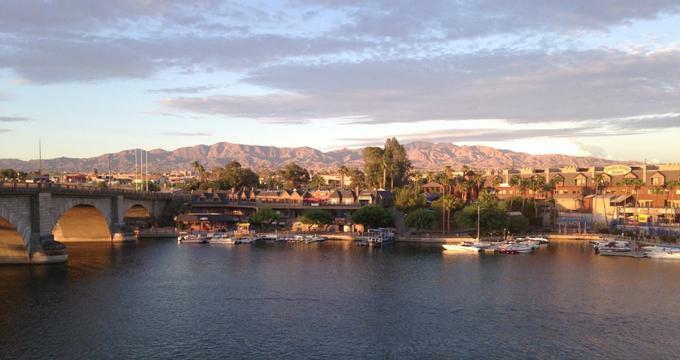 From London Bridge to Thompson Bay, Lake Havasu City is a beautiful place with countless nearby attractions. 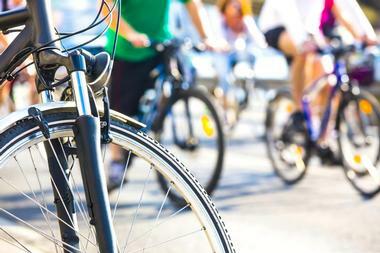 Visitors can take in the sunshine and fresh air while exploring it by bicycle, and even get a little exercise too. Cycle Therapy is open from Monday through Saturday.